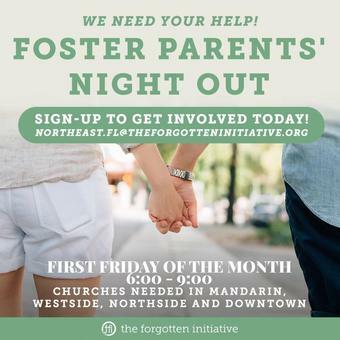 NE Florida Foster Parent Assoc. We're moving! We'll be closed May 1 and May 4-12 while we move to our new Jacksonville location. 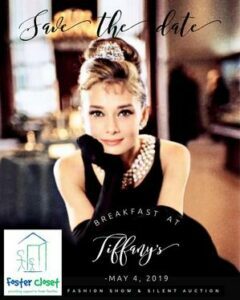 Foster Closet is hosting its 9th annual fundraiser with the theme as Breakfast at Tiffany’s on Saturday, May 4, 2019. April 28, 2019. 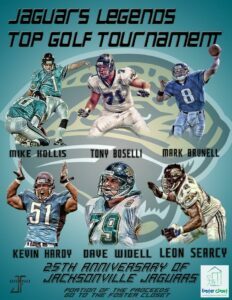 Have your picture taken with a Jaguars Legend, bid on Silent Auction Items, and play in a Top Golf Tournament with a Legend. Since 2009, Foster Closet has devoted its energy to passionately advocating for Northeast Florida's foster children. Find out how you can contribute to the future of someone in need through monetary, in-kind items and donations of time. 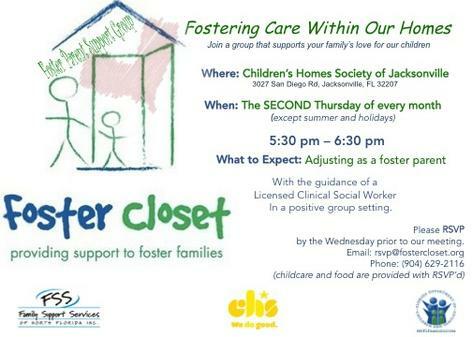 Helping Northeast and Central Florida's Foster Children, Foster Closet is a vocal advocate for the children displaced. We are a free resource while helping children in need. Welcome to the Foster Closet, a free resource for Northeast Florida’s foster parents and relative, non-relative placements and Independent Living Teens to access clothing, children’s accessories, toys and children’s furniture and more, to help take care of the foster children entrusted to them. Foster Closet offers a simple, no-nonsense approach that provides immediate assistance without complicated procedures. Through the generous contributions of our community, Foster Closet’s inventory is abundant and we rely on a vast network of volunteers and donors to access additional donations at a moment’s notice. A copy of the official registration and financial information may be obtained from the Division of Consumer Services by calling toll-free (800-435-7352) within the state or online at www.FloridaConsumerHelp.com. Registration does not imply endorsement, approval, or recommendation by the state.